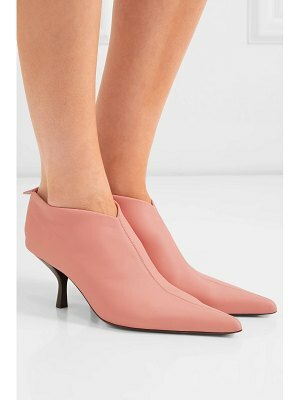 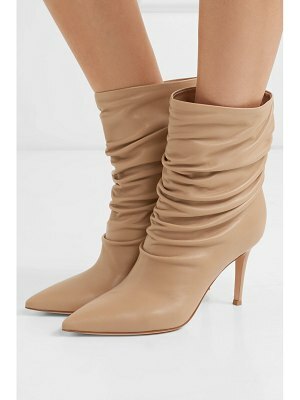 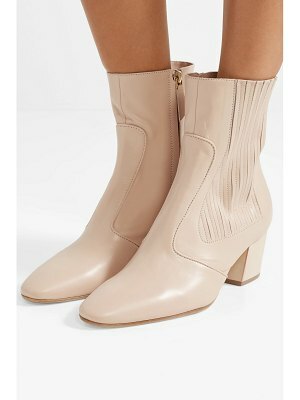 Gianvito Rossi - Since its inception in 2007, Gianvito Rossi has been lauded for its impeccable shoe design, as seen in these blush-pink Vania 85 ankle boots. 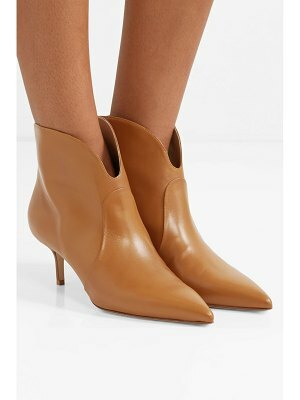 Handcrafted in Italy, the point-toe silhouette is shaped with a curved border that frames the ankle, then set on a slender stiletto heel with apricot-beige soles. 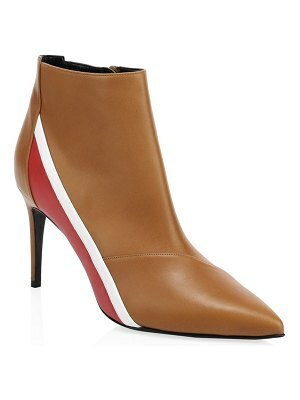 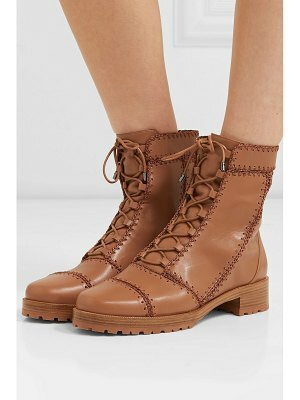 Try them with a tailored dress to ensure a sophisticated finish.